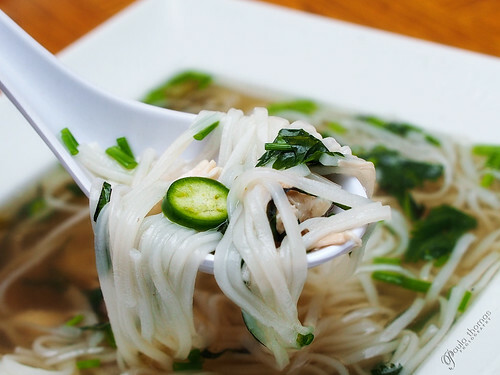 Have you ever wanted to make your own pho but didn't want to buy all the exotic spices for it where they would just sit in your cupboard never to be touched again? Now you can without having to buy a single spice with a Pho Kit! It comes with all the spices you need to make a rich, flavorful broth, including the noodles. 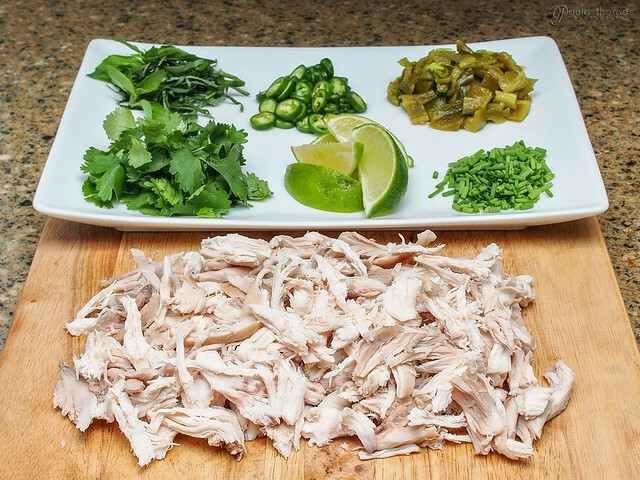 All you need to provide is the meat and garnishes. They're available in chicken, vegetable and beef is coming soon. 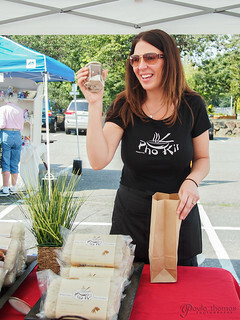 I picked my Pho Kit up from the owner, Brandy Craig, at the Juanita Farmer's Market. You can also buy them online at phokit.com. If you ever eat pho at a restaurant, they usually use loads of MSG and a paste to make the broth. 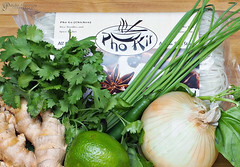 There's no MSG, preservatives or artificial ingredients in Pho Kits and they are gluten free. I love the little sachet the spices come in because you can open it up and take a peak at what's inside. 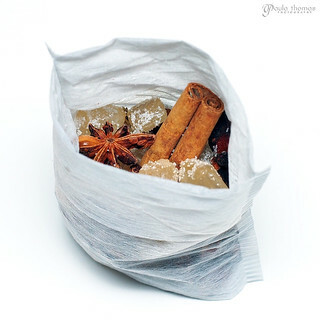 You'll find a cinnamon stick, rock sugar, star anise, cardamom, coriander and cloves. While talking to Brandy at the farmer's market she mentioned that the amount of rock sugar in the sachet make the pho a little on the sweeter side and some people prefer a less sweet broth. Taking that into consideration, I was happy I was able to open the sachet and remove a few rocks of sugar so it wouldn't be too sweet. The kit makes 6 large bowls of pho. Since there are only two of us I decided to only cook half of the noodles and put the other half away for another time. 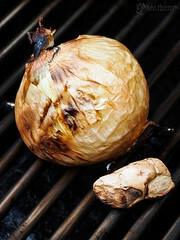 The leftover broth can be put in a large ziplock freezer bag and thawed at any time when you're ready to eat the rest. We thought the leftover soup was even more flavorful. I look forward to trying some of the other flavors.